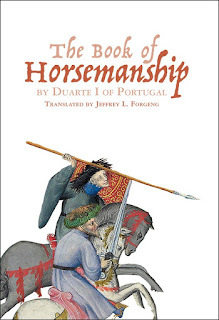 I was thrilled today to receive copies of my latest book, The Book of Horsemanship by Duarte I of Portugal. I began translating Duarte’s early fifteenth-century treatise nearly a decade ago, when I was curator at the Higgins Armory. It’s a remarkable and utterly unique document describing the definitive physical skill of the medieval knight: in almost every European language, the word for “knight” actually means “horseman.” The book not only covers training and techniques of horsemanship, but provides extensive information about saddles and spurs, jousting and hunting. 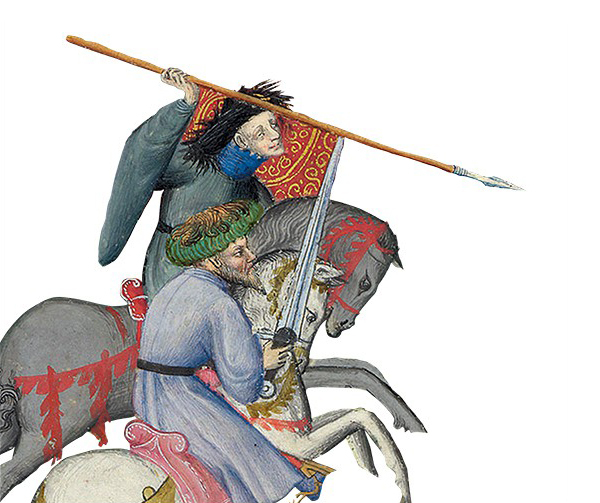 Duarte tells us a lot about how medieval arms and armor was actually used—he even offers helpful hints about how to get your lance into the lance-rest without getting it caught on your armor. In fact, the illustrations to this book include three objects from WAM’s collection—but you’ll have to get a copy to find out which ones!